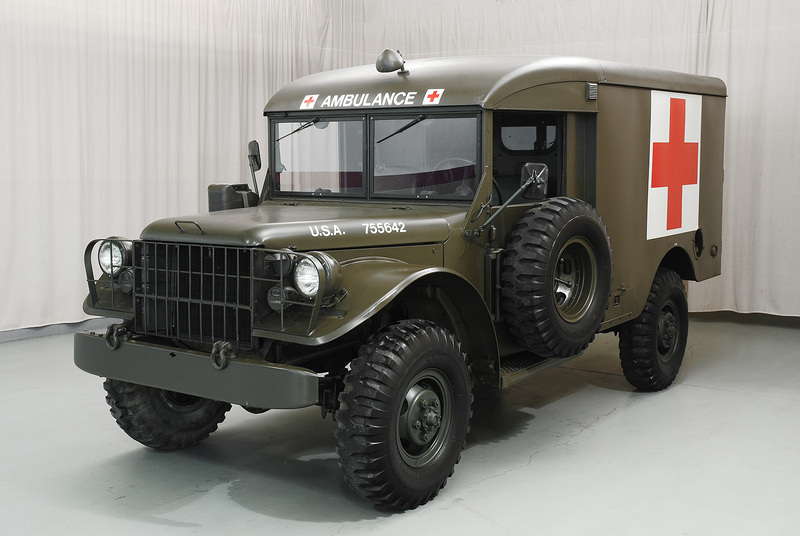 The M43 Ambulance is a member of the M37 3/4 Ton 4x4 family of trucks built by Dodge. 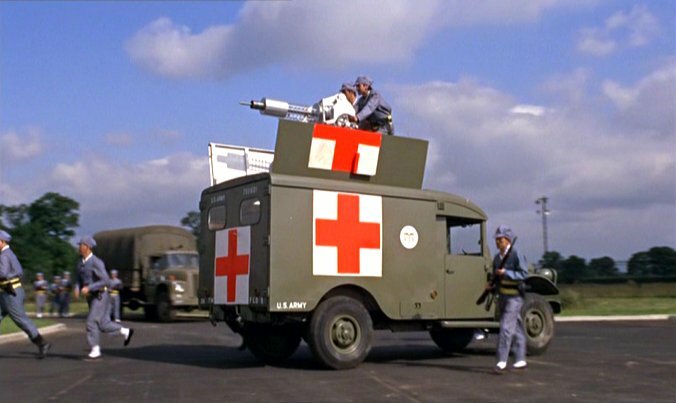 These vehicles were built post World War 2 and served on into the Vietnam War. By the end of production in 1958 some 115,000 M37 family trucks had been built. A new kit from Roden is an example of the M43 3/4 ton ambulance variant of the M37 family. The box arrived with all the parts inside the box within a single clear plastic bag. The first thing I noticed were some broken parts from the box being compress, but nothing that could not be fixed. Starting the look at the sprues in more detail was like a mixed bag, a couple of sprues looked to be well molded, while other sprues looked 'blobbish' with poor details and flash. I did find a couple of sink marks, and lots of ejector marks. What really stood out was the surface of some of the flat parts it does not look like the molds were milled evenly, as there were lines showing and what even looked like a milling pattern like the mold was not milled smooth. It does look like the kit is based on the previously released M37, which I did look into the history, due to the moldings, and it does look like the M37 was newly tooled in 2016, so I found it a little surprising as it reminds me of kits from way back. The kit does include a engine, interior driver compartment, and an interior for the rear ambulance section. The parts for the frame and engine do not look all the that bad, and it does look to include some good details. The cab interior also contains some good details, including raised details in the intrument panel. But looking at the decal sheet, there are no decals for the instrumement. In the rear, there are racks for four stretchers and the stretchers are included. For the wheels, vinyl rubber parts are included, which I am not a fan of, but these seemed a little harder then I have seen in the past. The tread pattern is well defined, and there is raised lettering on the sides. The instructions look to be well laid out, and should allow for a relatively easy build. With the kit looking like a challenge and it have U.S.A.F markings, I thought why not build it. Starting with the engine, it went together pretty well, though some sanding was needed on the seam lines. It is relatively well detailed. This extents to the frame as well, which again, with lots of sanding of seam lines, went together well. Overall the fit was rather good, and followed the instructions. The only real issue here, were the tabs on the ends of the drive shafts were a little long, and required some sanding. Next I moved onto the cab, the pedals, while not fully sharp, were not issue, as well as the gear box shifters. This is a spot where the instructions are a little vague, I was unsure where to mount the quarter panels of the doors, so I attached the upper dash board with the side panels and left the off for the time being. I did mount the instrument panel, and while it did have some nice raised details, there are no decals provided. I just raided my spares, found some half used Archer sets, and it worked out fine. Onto the rear ambulance section, and I started with the interior, again no major fit issues here. While assembling the interior I noticed that the top side of the fold up seat rest was detailed whiched allowed me to build one side with showing it as a seating bench instead. This is not shown or mentioned in the instructions at all. The stretchers are a little chunky, but I was planning to close the rear doors, so not a big issue. There is a bit of a fit issue with the rear doors though, no exactly all squared up. With more time, this could be resolved as it is minor. Now the big issue I found is there are no positive indications on the frame as to where to mount the cab and rear section. Thus at this time, I decided it was best to build the entire body, then mount on frame. It was a good decision, as if I had followed the instructions I may have had other fit issues due to some warping of the plastic. So with the body fully built, I started with aligning it on the frame and glued the rear section in place, clamped and waited over night. Next day, glued and clamped front. This was the about the really big issue with assembly. And with the wheels on, it actually sits on all four wheels nicely, no floaters. As I was doing the U.S. Air Force version, the instructions suggested Blue Grey as the color, and I knew this should be Strata Blue. Unable to find a mix online, I guess-timated by mixing Vallejo Air Insignia Blue with Pale Blue Grey at about 50/50, and for me, it was close enough. Now the decals, this was a disappointment. First off, the pattern I saw on the sheet carried on to the decals themselves, almost like it was bad printing or bad silk screening. Also, there was an issue with the yellow lettering being a little transparent. While not my best build being a quick review build, it does result in an 'OK' looking model. As some friends say in my local model group, it is a 'three footer', as in best looked at from about three feet. Oh and by the way, the beacon light on the top is not included in the kit, it was a little scratch build to match some of the reference images I saw. Overall, having built this new kit from Roden of the M43 Ambulance, I have to say that it almost looks weary in the box, but a decent model can be built from it. The kit does have some weak moldings in spots, some flash and ejector marks, but the most disappointing part of the kit is the decals. Building the kit, there some fit issues and some warping of the parts, but it can be built, and if you are patient, with a little skill, this could build into a nice looking model. The kit is not the modern type of kit we are seeing from Takom, Meng, etc, but to me the subject was worth the challenge, and that is what modeling is about sometimes. Verdict: While there are some issues in the moldings, it can be built into a nice model with some patience and skill. How did you get the cab to fit ? I have been having a heck of a time with the fenders, I know, sounds silly. I was issued a couple of M37s in the Army and had the "thrill" of riding in the M43 . Where have all the spare wheels gone Long time passing Where have all the spare wheels gone? Long time ago Gone a'missing every one When will they ever learn? When will they ever learn? This one has remnants of the spare wheel holder still attached at the front edge of the door. Any aftermarket companies looking for an idea? I haven't got a good answer for why some do not have the holder for the spare wheel. The "blue" one is from some airforce museum so I hope it is correct. There are other images of "olive drab" M43´s but maybe those are all ex USAF, or some later owner removed the spare wheel holder? / Robin Found it after some more searching Image found on this page: LINK which also contains this text: "The M37 began production in late 1950 and was superseded by the M37B1 in 1958. The M37B1 incorporates many small changes accumulated over the M37 production run. These included new electrical cables and connectors, magnetic drain plugs, revised canvas top and other items. Externally, the M37B1 is most easily recognized by the spare tire mount which as been moved from the front of the rear bed to the driver's side door. Dodge changed its internal designation from T245 to T245A." That location for the spare wheel was probably a nuisance, especially in an ambulance but having to move some of the cargo to get at the spare wheel must have been irritating. A restored one with modern tires and HMMWV mirrors This one is more or less original, even if it has been slightly modified The M37 and M42 (command truck) have the spare wheel holder so a kitbash would produce an early M37 and a late ambulance. The main frame for the spare wheel holder is included on the sprues for the M43 but there is only four tyres and maybe the rim is also missing. Ive read the same thing ! Ive avoided Roden because of bad reviews.